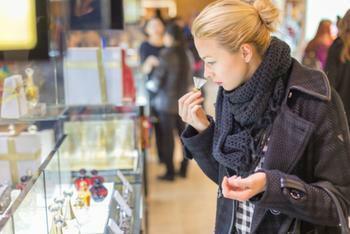 Some consumers have experienced bad reactions to fragrances. In fact, a Dutch study found that fragrance allergy is common, affecting approximately 1% of the general population. Fragrance materials in cosmetics products can trigger side effects including axillary dermatitis, dermatitis of the face and neck, patches in areas of "dabbing-on" perfumes (such as the wrists or behind the ears), and hand eczema. Now, new research from the University of Melbourne finds that fragranced consumer products cause health issues for as many as one in three Australians. A survey of over 1,000 Australians showed common products such as air fresheners, cleaning products, and laundry supplies can cause negative health effects, including breathing problems, migraine headaches, skin irritation, and asthma attacks. Findings from the new study mirrored those from a similar study conducted in the United States, said lead researcher Professor Anne Steinemann. "This is an epidemic. Fragranced products are creating health problems across Australia. The effects can be immediate, severe and potentially disabling," Steinemann said. "But they can also be subtle, and people may not realise they're being affected." Her previous research found that nearly 35% of Americans experienced health problems when exposed to fragranced products. These findings are important, given that almost all of us are exposed to fragranced products on a daily or weekly basis. Additional findings from the Australian study showed that 7.7% of respondents lost workdays or lost their job as a result of illness from fragranced products in the workplace. One in six said they would leave a shop or business as quickly as possible if they smelled air fresheners or other fragranced products. "These findings have serious implications for businesses, workplaces, care facilities, schools, homes and other places -- for anywhere or anyone that uses fragranced products," Steinemann said in a statement. Her previous research found that all fragranced products -- even those labeled "green," "organic,: and "all-natural" -- "emit a range of hazardous air pollutants," including formaldehyde and acetaldehyde. However, such ingredients do not need to be disclosed on the product label. Steinmann is currently conducting research to investigate why fragrance chemicals are causing health problems. For now, she says workplaces, schools, and hospitals may want to consider opting for fragrance-free products. "As my study found, about twice as many Australians would prefer that workplaces, health care facilities and professionals, hotels, and aeroplanes were fragrance-free rather than fragranced," she said. The study has been published in the journal Preventative Medicine Reports.